The overall objective of this program is to contribute to a democratic transition in Syria inclusive of gender equality. Enabling a pool of lawyers to be key actors in the democratic transition through strengthening and widening their professional expertise and skills to develop and promote further, in the transitional phase, a democratic constitution inclusive of gender equality and human rights for women and men. Enabling the lawyers to learn from different experiences in Europe in constitution building and the establishment of different institutional mechanisms capable of enforcing the rights enshrined in the constitution, as Human Rights or Gender Equality Commission, Councils or Committees, Ombudsman office. All serve to monitor human rights violations, implementation of human rights or equality clauses, and to educate and raise public awareness about human rights and equality. The Euromed Feminist Initiative in partnership with the Equal Citizenship Center organized a two-day networking meeting on the 30th and 31st of January, 2016, for 45 lawyers in Beirut, Lebanon. The event was in the framework of the program “Preparing for an engendered constitution-building process” cofunded by the EU and Sweden. In it, lawyers who participated in a study trip to Swedish institutions shared the knowledge gained and lessons learned. Euromed Feminisit Initiative, IFE-EFI, organized a two-day advocacy training for two groups of 15-20 Syrian lawyers from December 2nd to December 5th 2015. Titled “Promoting a gender-sensitive constitution” the training was held in Beirut and was given by law professor and constitution expert Ms. Souhir Fourati. It hightlighted the importance of integrating gender approach in constitution-building processes. 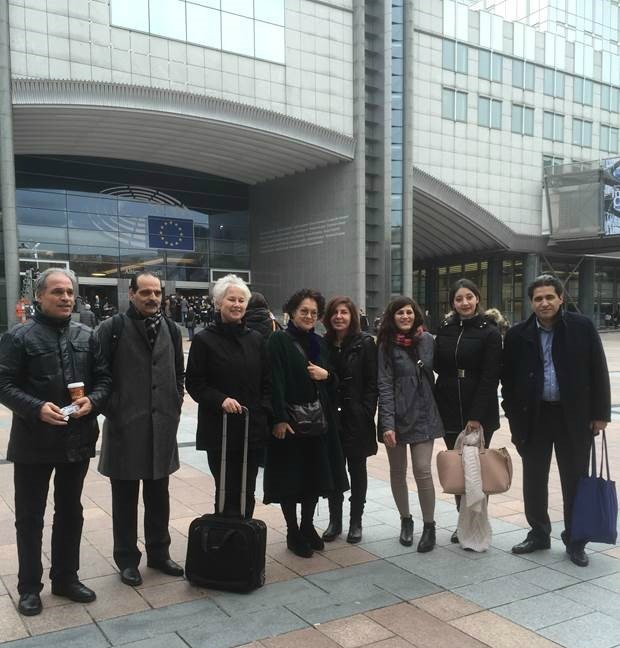 In the framework of the project “Supporting transition towards democracy in Syria through preparing for an engendered constitution building process” co-funded by the EU and Sweden; Euromed Feminist Initiative IFE-EFI arranged an exchange trip to the European Union for a delegation of Syrian lawyers and constitutional experts in February 2016 in Brussels, Belgium. Euromed Feminist Initiative is happy to announce that the handbook ABC for a Gender Sensitive Constitution is now published. In cooperation with the Equal Citizenship Center in Syria ECC, IFE-EFI organized 2 back-to-back workshops for a group of 20 Syrian lawyers on The Gender Approach in Syrian Legislation.